Mount Dora, located about an hour north of Orlando, is home to Renninger's Twin Markets and some of the best antique shopping in the South. If you're looking for Old Florida country living, quiet inns, romantic bed and breakfasts, and even some upscale wineries, this quaint little town is for you. While the highest recorded temperature in Mount Dora was 101 degrees Fahrenheit (38 degrees Celsius) in 1991, temperatures in the high mid- to high-90s Fahrenheit are not a rarity in the summer months. A very chilly 16 degrees Fahrenheit (minus 8 degrees Celsius) was the record low temperature in 1985, but you're unlikely to see snow if the temperature gets this cold again. Comfortable shoes should be your priority when packing for a getaway or vacation in Mount Dora. Whether you're browsing the antique shops in town where the terrain is quite hilly or strolling Renninger's indoors or out, you'll be walking a lot. Casual is the dress code in Mount Dora, so let the average temperatures be your guide to what to pack. Do bring a bathing suit since most hotels these days have heated pools and sunbathing is rarely out of the question. The Atlantic Hurricane Season runs from June 1 through November 30. Mount Dora was hit by 2017's Hurricane Irma, like much of the state, but luckily the damage wasn't as bad as other parts of Florida. The last storms that blew through town were in 2004 and 2005. It is important to do some research on traveling during hurricanes to keep your family safe during your vacation. Mount Dora experiences a very pleasant spring with a moderate amount of rainfall. Temperatures start out cool, especially in the evenings, and gradually warm up. By May, summer's heat and humidity are in full force. What to pack: If you're visiting early in spring, don't forget a sweatshirt or jacket. Temperatures at night can dip to 50 degrees Fahrenheit (10 degrees Celsius), so you'll want to have an extra layer to keep warm. 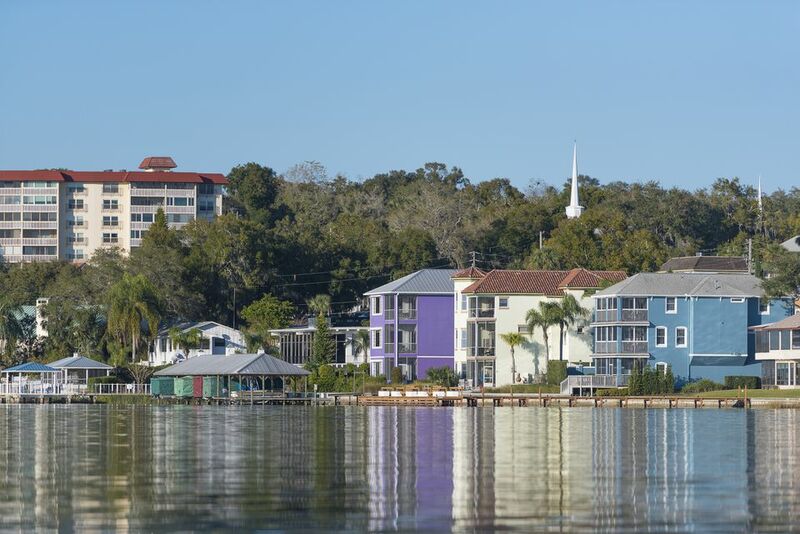 Like most of Florida, Mount Dora experiences summers that are hot and humid. This is also the wettest season with afternoon thunderstorms a common occurrence. Hurricane season kicks off June 30 but is rarely an issue until later into the fall. What to pack: Bring along lightweight, breathable clothing that will keep you cool and dry. Avoid synthetic fabrics, instead opting for airy cotton and linen clothes. September still feels like summer in Mount Dora, with temperatures sometimes exceeding 90 degrees Fahrenheit (32 degrees Celsius), but by October, things have cooled down a bit. Rain becomes less common in October and November. Hurricane season ends on November 30, but typically most hurricane activity takes place in September. What to pack: Pack your summer wardrobe, adding in a jacket or sweater if you're visiting in November or late October. South Florida never gets too cold, so shorts are often appropriate year-round attire. Winter in Mount Dora is mostly clear and dry, with temperatures that are pleasant and genuinely enjoyable for spending time outdoors. The frequent downpours and thunderstorms that come along with summer are long gone and humidity is bearable. What to pack: Bring lightweight layers that you can add and remove depending upon the weather. While short-sleeves might feel completely comfortable during the daytime, at night you may need to layer up as temperatures can drop into the 40s Fahrenheit (4 degrees Celsius).